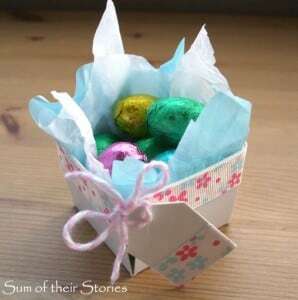 Here is an easy way to give a little egg as a mini gift this Easter. 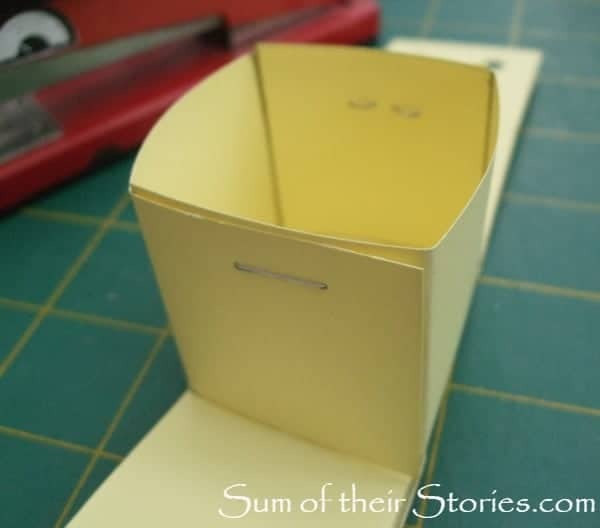 Hi, I’m Julie from Sum of their Stories and I’m really happy to be back here today to share how to make these little gift boxes. 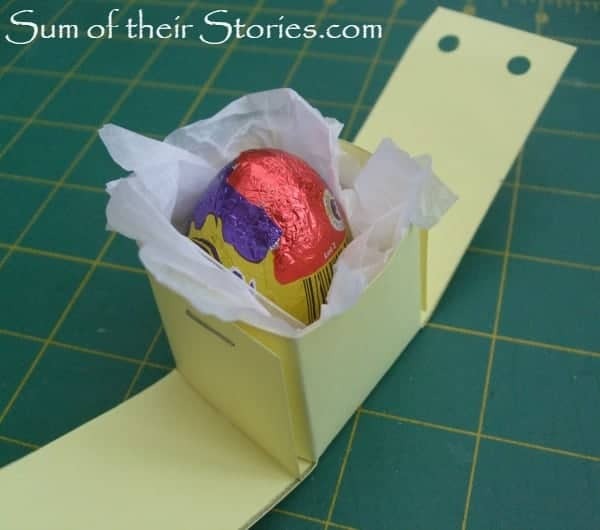 They are really easy to make, you don’t need any special equipment and they are ideal if you have a lot of people you want to give a little something to this Easter. 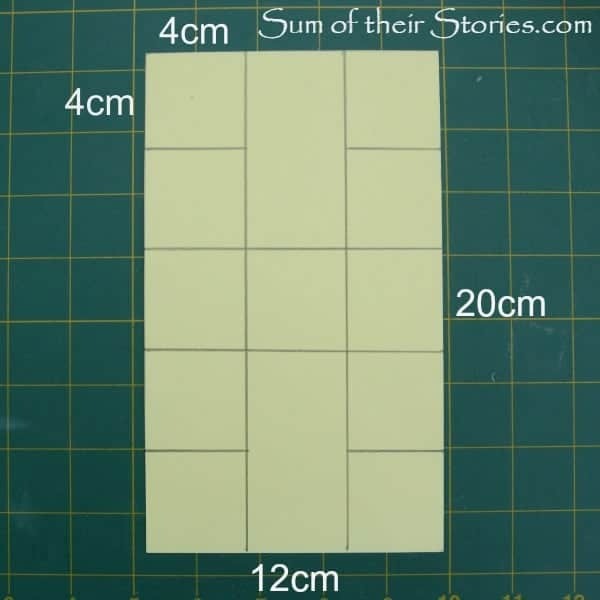 First mark out your card in 4cm sections as shown in the photo below (easier to show than describe) All the lines are 4cm apart – it’s basically a 4cm grid but with long 4cm x 8cm sections in the middle. Then fold along all the lines that go from edge to edge. 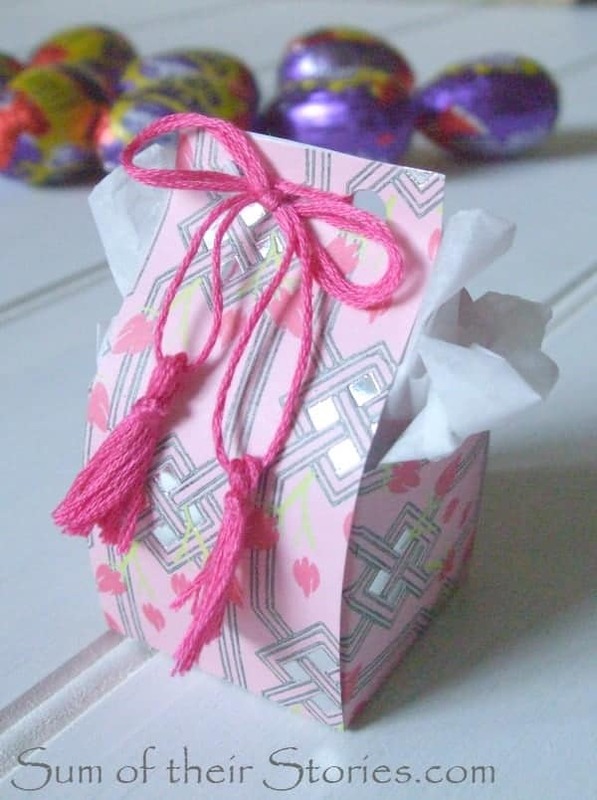 DONT fold the little shorter lines in the corners or you will be creasing your gift box where you don’t want it creased. Just bear with me, the photos will make it all clear in just a moment! I find it easiest to fold along the edge of my ruler. 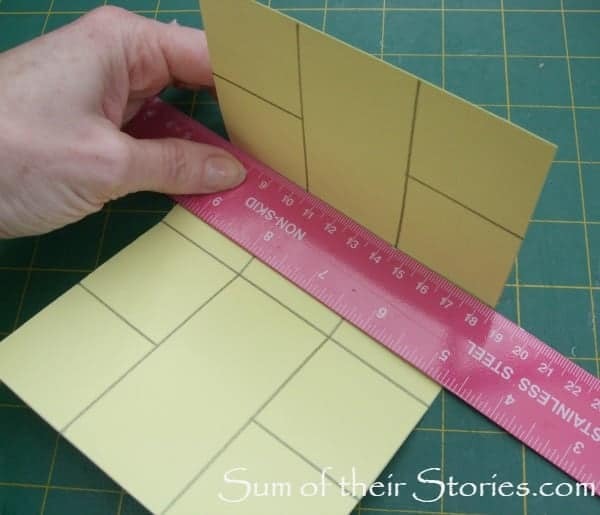 Now cut away the corners and along the lines as shown in the photo below. 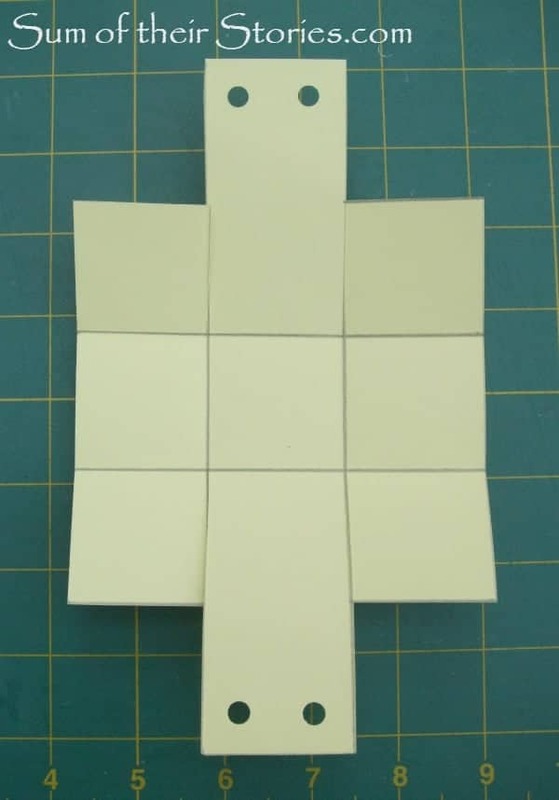 You can just as easily cut out then fold if you prefer, makes no difference! Punch holes on the ends of the long sections as shown below. 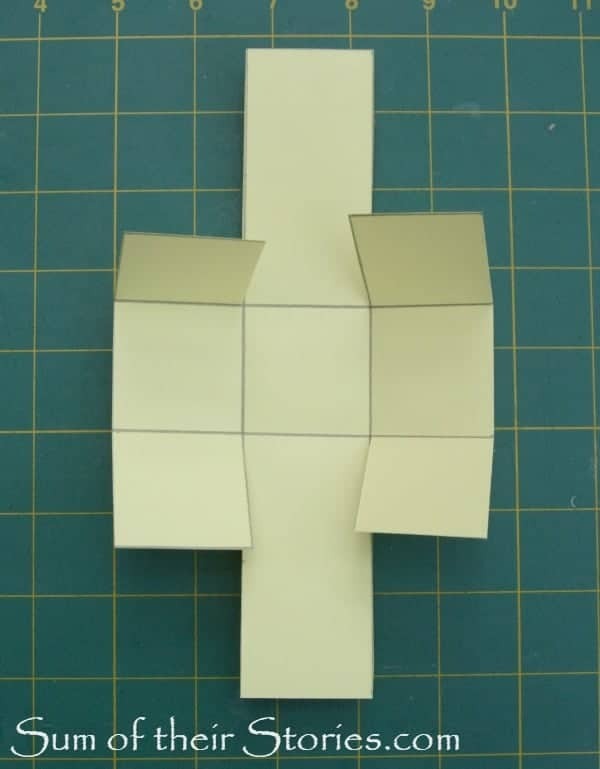 Fold up the sides and secure with a staple or glue if you prefer. Pop some tissue paper in and your little Easter egg. 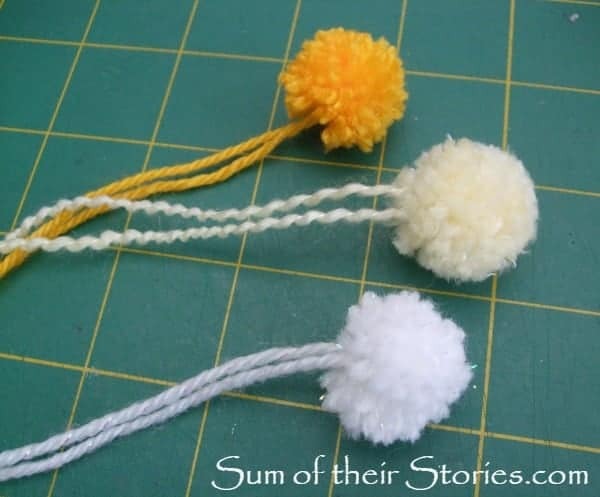 Make some mini pom poms with the yarn using the fork method. 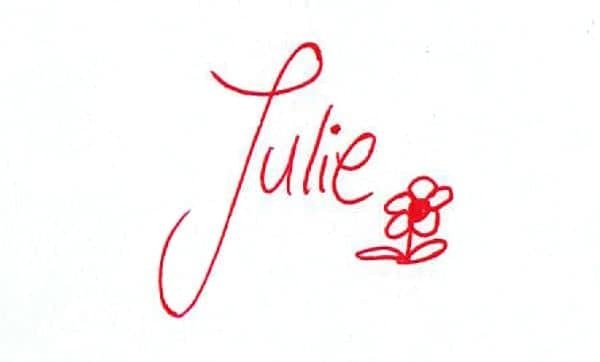 If you don’t already know it you can find a great tutorial here. 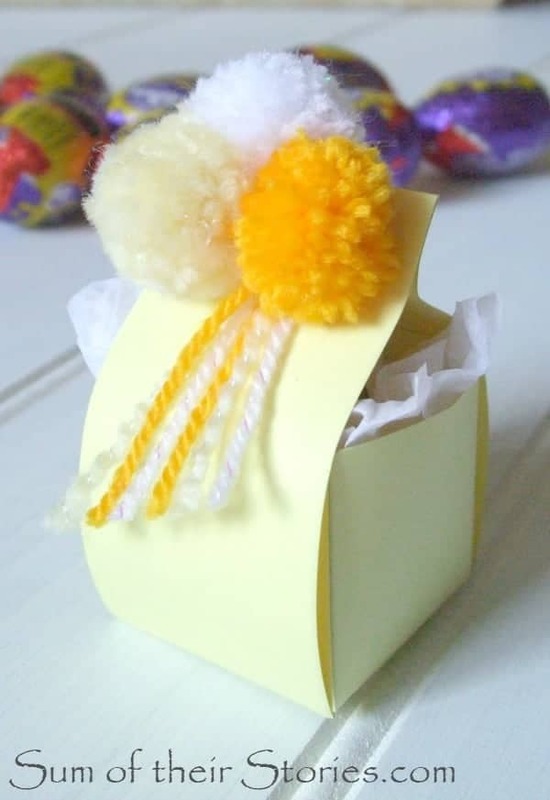 Then just thread the poms poms through the holes to secure the gift box and tie at the front. You can make tassels instead of pom pom or use ribbon, lace, bakers twine, string – whatever you like. These little tassels are made from embroidery thread. 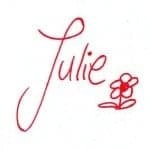 And this is just a simple bow made from 6 lengths of embroidery thread. You can just see this egg if you peek in from the side. 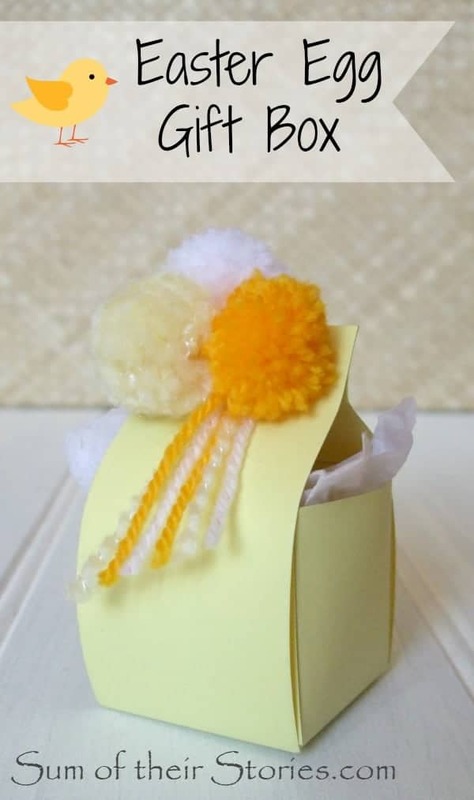 These are easy enough for the kids to make and/or decorate for their friends too. 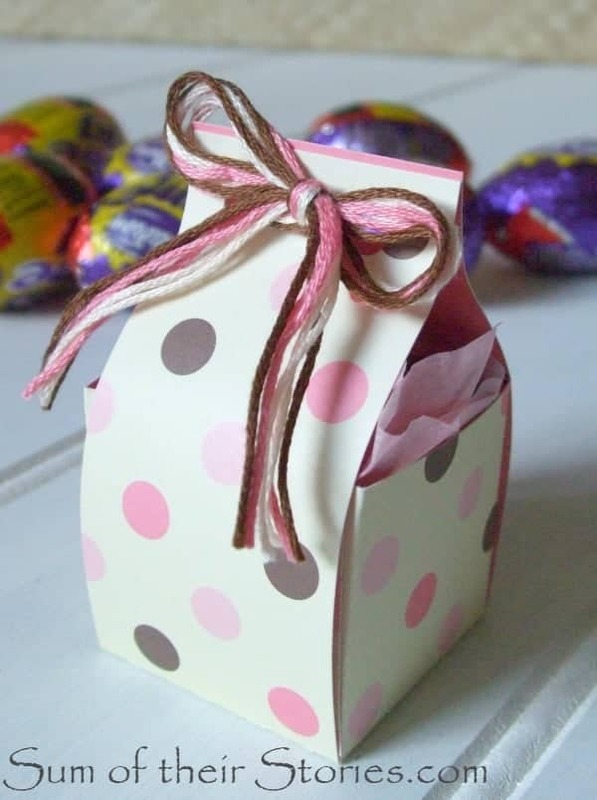 I was also thinking that if you save any large Easter Cards you receive this year you could use the front to make these little boxes next year – greeting card weight card would be perfect. The pom pom version is definitely my favourite, but then I think pom poms make everything just a little bit cuter. Thanks for having be here today Kimber – a pleasure as always! 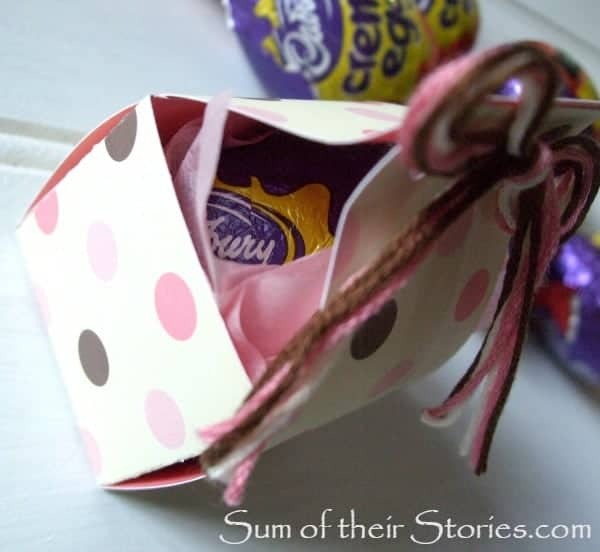 You might also be interested in my other Easter Treat Box ideas. I think these are adorable, and small enough to tuck into a larger Easter basket as well. I also think they would make a cute little placard if you are having a large group for Easter dinner! 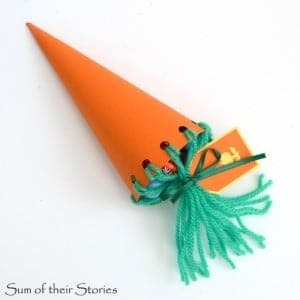 oh what a fun idea and perfect for a little gift any time of year! love the poms 🙂 they so make this little box special! Thanks for sharing with Snickerdoodle Sunday!